now Northeastern Health System Sequoyah, from 1 to 3 p.m. on Sept. 7. Northeastern Health System Sequoyah Memorial Hospital in Sallisaw will hold an open house from 1 to 3 p.m. on Sept. 7. Monday and Tuesday-Surgery and Clinic, Northeastern Health System-Sequoyah OP Department. Call 918-774-1116 to schedule an appointment. Every other Monday-Surgery and Clinic, Northeastern Health System-Sequoyah OP Department. 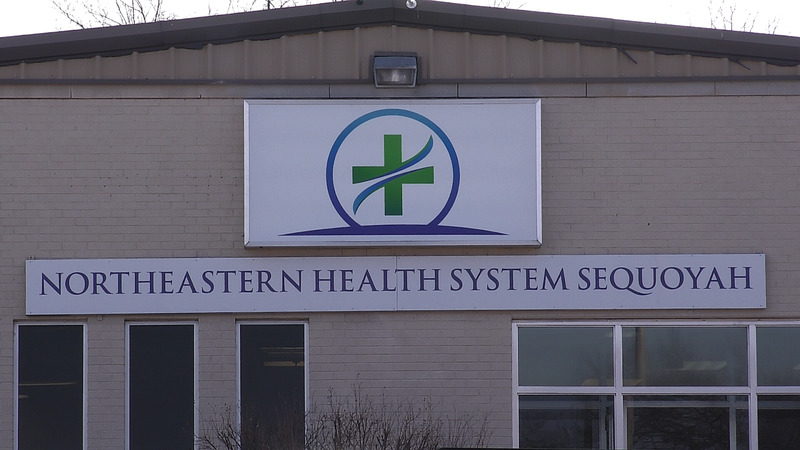 Second Tuesday and Thursday of each month, Northeastern Health System-Tahlequah. Call 918-229-1431 to schedule an appointment. For the heart on every other Tuesday, Northeastern Health System-Sequoyah OP Department. Call 918-774-1158 to schedule an appointment. Nephrology-Bilal Aziz, M.D. & Imran Tahir, M.D. 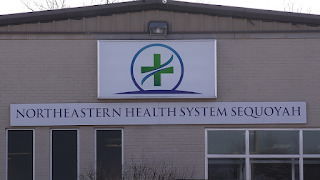 First Tuesday of each month, Northeastern Health System-Tahlequah. Call 918-207-1189 to schedule an appointment. Third Wednesday of each month, Oklahoma Brain and Spine Institute. 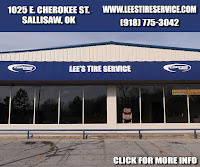 Call 918-749-0762 to schedule an appointment. Third Thursday of each month, Oklahoma Brain and Spine Institute. Every Wednesday of each month, Ahmad Pediatrics. Call 918-458-9444 to schedule an appointment. For newborn to 18 years of age. Services include well child exams and immunizations, school and sport physicals, and sick visits. All Insurances accepted, including Soonercare. Walk-Ins welcome. The open house will have a meet-and-greet format and will also introduce the public to a remodeled front lobby, Armstrong said. 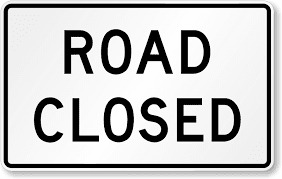 Sallisaw police report Opdyke Street from Iola to Port Arthur will be closed 7 a.m. to 5 p.m. on Friday for maintenance. Police ask that drivers be careful and find an alternate route if possible. Learning about Cherokee culture will be easy at the Cherokee Heritage Center (CHC) during the 66th annual Cherokee National Holiday this Labor Day weekend, Aug. 31 – Sept. 2. As part of the holiday celebration, CHC is offering free admission each day from 9 a.m. to 5 p.m., with tours of the 1710 ancient village offered for $5 per person. Guests are encouraged to visit the Trail of Tears exhibit in the museum, as well as the recently opened Cherokee Homecoming Art Show and Sale in the museum gallery. Adams Corner Rural Village offers a variety of events, including special cultural activities for children and two book signings, “The Land of the Great Turtles” by Brad Wagnon and “We Are Grateful” by Tracy Sorrell. More than 80 vendors participate in the annual arts and crafts fair, including several Cherokee National Treasures and United Keetoowah Band Master Craftsmen. Inside the museum there will be a live print action station where guests can create custom souvenirs featuring southeastern designs. The heritage center’s information booth will debut the newest souvenir bag, featuring the bead wall in the Trail of Tears exhibit, and offer special discounts on Cherokee Heritage Press books and membership packages for the Cherokee National Historical Society. Saturday evening CHC will host Cherokee Stories with Robert Lewis beginning at 7:30 p.m. 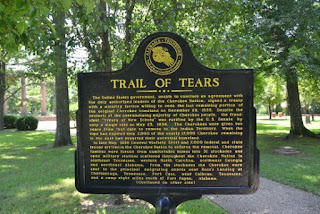 Admission to the special event is $10 per person, with proceeds benefiting the upcoming renovation of the Trail of Tears exhibit. For more information about CHC’s holiday events, please call the Cherokee Heritage Center at 1-888-999-6007 or email tonia-weavel@cherokee.org. Registration is now open for Cherokee Nation Foundation’s fall ACT prep classes. The six-week course is offered to Native American students in their junior or senior year of high school, with preference given to Cherokee Nation students. The deadline to register is Sept. 12 and classes begin on Sept. 18. 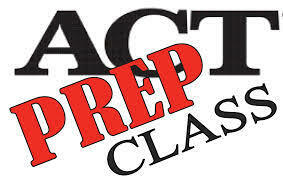 The course will conclude with students taking the national ACT exam on Oct. 27. 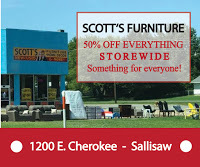 Fort Gibson — Tuesday evenings from 4 to 7 p.m.
Sallisaw — Thursday evenings from 4 to 7 p.m. If class size allows, non-Native students may enroll in the course for a fee of $150. Students interested in the course can pick up registration forms from their high school guidance counselors or call the foundation at 918-207-0950. Applications are also available online at www.cherokeenationfoundation.org. 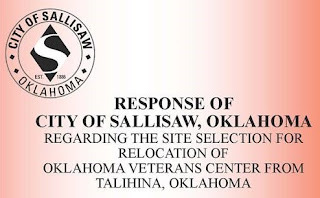 On Wednesday the City of Sallisaw announced that they had officially submitted a proposal to the State of Oklahoma Department of Veterans Affairs for the relocation of the Talihina, Oklahoma veterans center to Sallisaw. 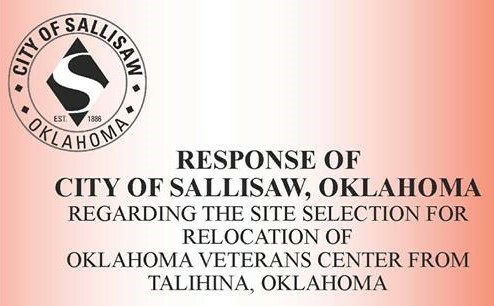 The proposal is in response to a request of the Veterans Commission, issued on June 25, 2018, requesting proposals for the relocation of the Talihina center within 90 miles of the existing facility. The Talihina Center is one of seven licensed nursing facilities owned and operated by the Oklahoma Department of Veterans Affairs. The facility was constructed in 1921 as the Eastern Oklahoma Tuberculosis Sanatorium. It became a veterans center in 1975. Earlier this year, the Oklahoma Legislature enacted the Oklahoma Veterans Facility Investment Act of 2018, which directed the relocation of the Oklahoma Veterans Center, Talihina Division. The Act confers authority for selection of the location to the Oklahoma Veterans Commission. The facility will be built with $65 million in federal matching funds along with $35 million financed through the State of Oklahoma. The Veterans Administration expects to announce the location of the new site in late October. Police have arrested Steven Asher, 31, who was wanted for stabbing a woman to death in Pocola Monday morning. Asher is believed to have stabbed Amanda Millar, 27, with a machete during a fight near Fuller Ave. Asher was believed to have been Millar's boyfriend. (L-R) Cherokee Nation Deputy Chief S. Joe Crittenden, Miss Cherokee second runner-up Madison Shoemaker, Miss Cherokee Whitney Roach, Miss Cherokee first runner-up Meekah Roy, Principal Chief Bill John Baker and 2017-18 Miss Cherokee Madison Whitekiller. Whitney Roach, a Northeastern State University sophomore from Tahlequah, is the 2018-19 Miss Cherokee. Roach, 20, was crowned Saturday during the annual leadership competition at Cornerstone Fellowship Church in Tahlequah. As Miss Cherokee, Roach will represent the Cherokee Nation as a goodwill ambassador to promote the government, history, language and culture of the tribe for the next year. She also receives a $3,000 scholarship. Roach is the daughter of George and Lisa Roach. She is majoring in cellular and molecular biology at NSU and hopes to one day be a physician for the Cherokee Nation. Roach competed against six other young women for the Miss Cherokee crown. The Miss Cherokee Leadership Competition judges contestants on their use of the Cherokee language, cultural and platform presentations, and responses to impromptu questions. 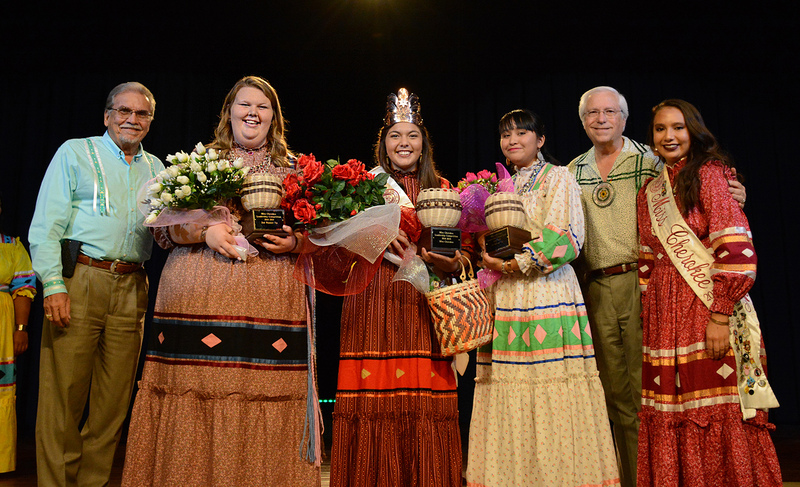 For her cultural presentation during the Miss Cherokee Leadership Competition, Roach presented a story, “The Legend of the Kingfisher.” Her platform is the preservation of traditional stories. Miss Cherokee first runner-up was Meekah Roy, 21, of Salina, who earned a $2,000 scholarship. The second runner-up was Madison Shoemaker, 20, of Muskogee, who earned a $1,000 scholarship. Pocola schools are on lockdown and Pocola police are searching for a 31-year-old man, believed armed with a machete, who may have already killed one person. Police report Steven Asher was last seen on foot, running through a wooded area on Fuller Avenue in Pocola. They report Pocola nursing homes are also on lockdown and ask that residents lock their doors. It is believed that one woman was stabbed to death in a fight with Asher. Asher is six feet tall, weighs 130 pounds, and has green eyes and blond-brown hair. 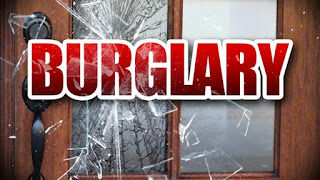 A 33-year-old Fort Smith man was charged with first-degree burglary in Sequoyah County District Court last week after he allegedly broke into a home in the Bunch area that was occupied by a young woman. William Paul Hernandez is accused of prying open a window to gain entrance to the home. 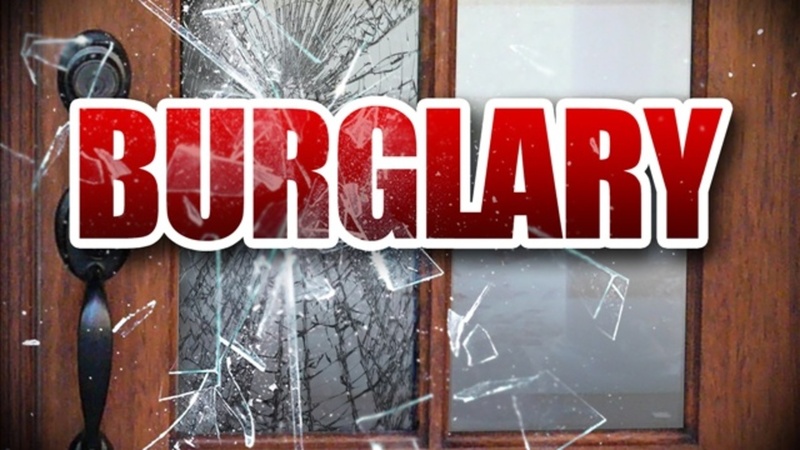 First-degree burglary charges are filed when a building is occupied by a possible victim. According to the deputy’s report filed with the charges on Aug. 14, the deputy received a report of a disabled vehicle. He found the vehicle, but no driver, and drove through the area when he was stopped by the female resident. The woman said she was frightened because a man had broken into her home. The deputy then found Hernandez in the home. Hernandez said he had come to pick the woman up but he ran out of “water and oxygen.” He said he had to break into the house to get water and oxygen. When asked, according to the report, Hernandez told the deputy he had been awake for 16 days and stayed awake by using methamphetamines. Hernandez was released Aug. 14 on a $6,500 bond. His next court appearance is set for Sept. 26 on the felony disposition docket. 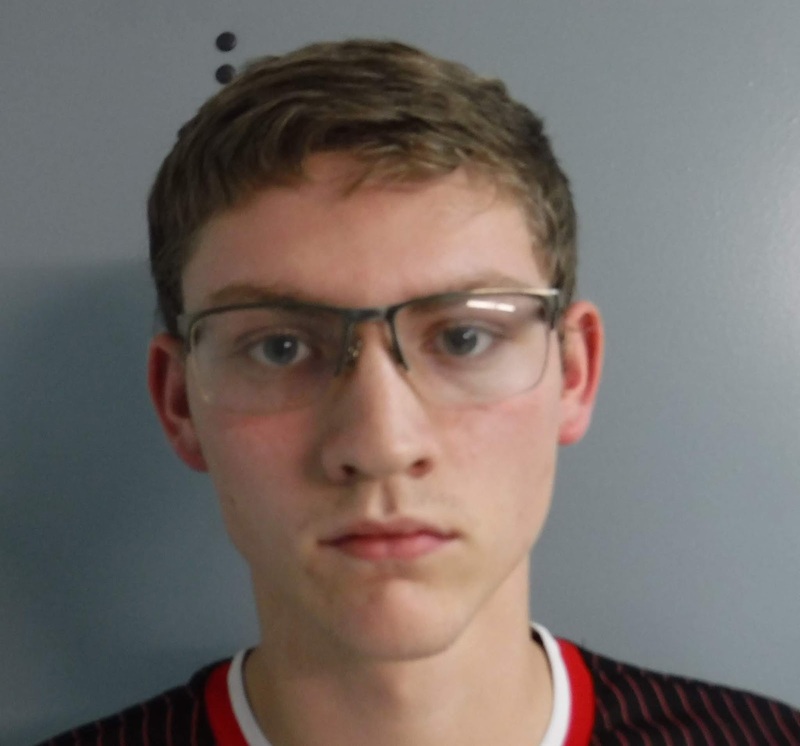 A man and woman from Sallisaw were charged Tuesday in Sequoyah County District Court in Sallisaw with trafficking in illegal drugs, a felony, and misdemeanor counts of possession of drug paraphernalia and possession of a controlled dangerous substance. Damon D. Glass, 44, is also charged with maintaining a place for keeping/selling a controlled substance and unlawful use of a police radio. 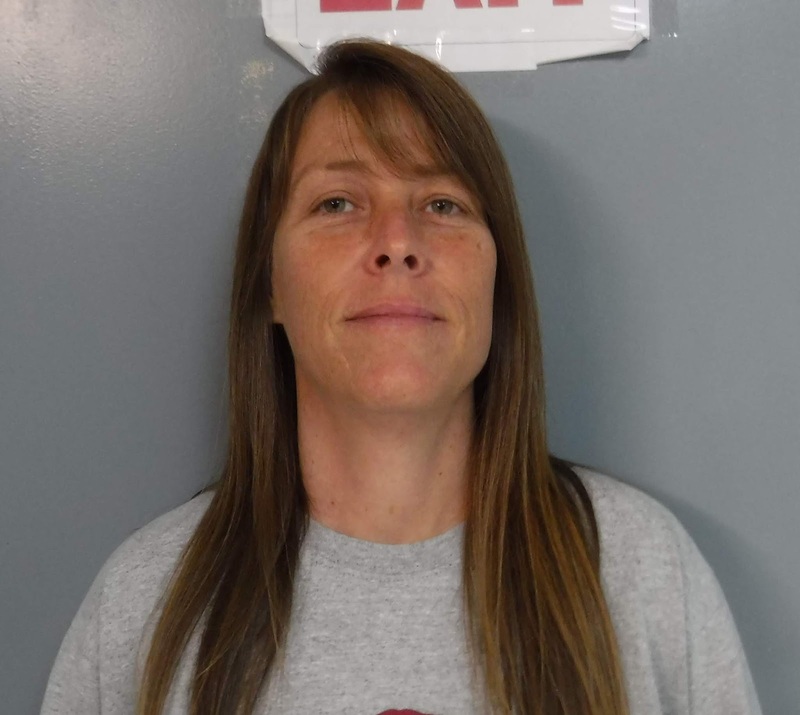 Glass and Tamara Brianeele Bedwell, 46, were arrested Aug. 21 at a rural home by a team with the Sequoyah County Sheriff’s Office. According to the report filed with the charges, the team found substances which tested positive for methamphetamine, sandwich and plastic bags, a police scanner, schedule 4 drug pills, two smoking devices, spoons with residue, several syringes and rolling papers, marijuana residue and seeds, and a scales. According to the report, Glass denied the confiscated items were his, and accused the officers of planting the items. He also refused to acknowledge the Miranda warning. Glass and Bedwell will be arraigned on Aug. 29 according to court records. A 45-year-old Tulsa woman faces several drug-related charges in Sequoyah County District Court, Sallisaw. Diane Inez Long was charged Aug. 14 with unlawful possession of a controlled drug with intent to distribute and two misdemeanor counts of possession of a controlled dangerous substance and one misdemeanor count of possession of paraphernalia. According to the deputy’s report filed with the charges, he saw Long on Aug. 11 driving erratically on State Highway 10A. He stopped her and had her get out of her vehicle. He reported Long then began to hyperventilate, and she was transported to the hospital in Sallisaw. She was later released and booked into the Sequoyah County Jail. The deputy reported a search of Long’s vehicle uncovered over 6 grams of a substance that tested positive as methamphetamine. 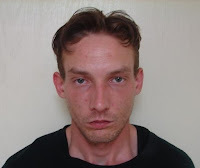 He also reported he recovered pills identified as a class 4 narcotic, marijuana and paraphernalia. Long was found to have a suspended driver’s license and is wanted on a warrant out of Okmulgee County. Long pleaded innocent of the charges on Aug. 15 and her bond was set a $10,000. Her next court appearance is set for Aug. 29 on the disposition docket. 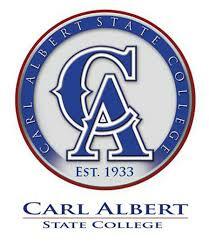 Carl Albert State College (CASC) classes began on Aug. 13 with a few new faces in the front of the classrooms. The Communications and Fine Arts Division welcomed Andrew Gaber and Samantha Piper to the Language Arts faculty. Gaber will teach at the CASC Sallisaw campus, and Piper at the Poteau main campus. The nursing faculty also welcomed two full-time faculty. Maurica Treat and Joyce Johnson, both at the Sallisaw campus. The Sallisaw campus welcomed additional faculty members. Darrin Clark has joined the Social and Behavioral Science faculty, Christina Walters has joined the Math faculty, and Daniel Smith is now part of the Business and Technology Division. "We are proud to welcome these new faces to our team and anticipate an exciting year ahead," said Dr. Marc Willis, Vice President of Academic Affairs for CASC. In conjunction to new faculty members on both campuses, many classrooms will have a little different look this semester as CASC faculty members upgrade to ZOOM-enabled classrooms. This new technology will allow instructors to record lectures, video-conference live, and display high-definition images, graphics, and videos to their students. 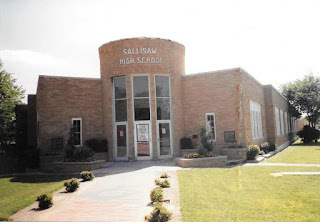 Through a partnership with the CASC Native American-serving Nontribal Institutions Program, NASNTI, Project, rooms at both Sallisaw and Poteau campuses have the capability to connect in real time, reducing the distance barrier between the classrooms and campuses. ZOOM classrooms feature state-of-the-art microphones, speakers, and most noticeably 76-inch Smart TVs placed front and center. The classrooms are only the beginning, Willis said, as ZOOM technology also allows for synchronous online learning, remote advising, and more imaginative learning opportunities. Voters will go to the polls Tuesday for the August 28th Runoff Primary Election, Sequoyah County Election Board Secretary Cindy Osborn said today. - Polls are open from 7 a.m. to 7 p.m. Tuesday. Lines are possible at peak voting times. Wait times will likely be shortest at mid-morning and mid-afternoon. Anyone in line to vote at 7 p.m. will be allowed to cast a ballot. - Those who became physically incapacitated after 5 p.m. Tuesday August 21st still can request an emergency absentee ballot. Those who might qualify for an emergency absentee ballot should contact the County Election Board office at 918-775-2614 as soon as possible for more information. An auction is planned for 5 p.m. Sept. 15 by members of the Old Sallisaw High School Association to raise money to help maintain the park and facility. The auction will be held in the old cafeteria, now known as the Black Diamond Events Center. The association is accepting donations for the auction, but those who wish to offer their own items for sale may do so by pledging a mere 10 percent commission to the association. Eual Knapp will be the auctioneer and will be assisted by Jake Knapp. Items already donated include an 18-foot trailer, a welder, a tiller, a bandsaw, more tools, toolboxes, and two timeshares. For more information or to make a donation contact Crystal Martin Hardy at 918-774-3887, Gary Jackson at 918-774-2439, Courtney Martin Knapp at 479-221-7457 or Jake Knapp at 918-208-6327. 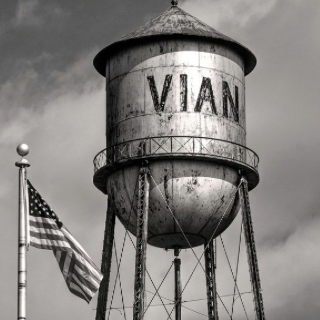 Members of Vian’s business community have come together to once again revive a Chamber of Commerce in the Lake Tenkiller-area town. Callie Prier, president of the new Vian-Tenkiller Area Chamber of Commerce, said several business owners were brainstorming ways to revitalize the downtown economy and bring more visitors to the town. Prier said it had been more than 10 years since the town had a Chamber, and that it had probably dwindled due to lack of manpower in overseeing the organization. But Prier and many of the recently-elected board members are excited about the interest from a younger generation of business owners, along with veteran business owners with previous experience of being a chamber member. Organized in July, the chamber has already elected a board, adopted bylaws and formed committees. Prier serves as president, vice president is Heather Choate, second vice president is Katie Napier, treasurer is Jessie Young and secretary is Patti Crabtree. Prier said the group hopes to work closely with the Vian Lion’s Club for the annual Christmas parade, possibly planning an event in the park, and hopes to plan a clean-up day, raise funds to landscape walking trails and bike trails and recruit business along Interstate 40. The group meets the first Monday of each month at 7 p.m. at Miss Lilly’s; next month’s meeting is set for 7 p.m. Tuesday, Sept. 4 because of the Labor Day holiday. Dues are $30 for an individual; $100 for businesses. You can catch details about upcoming events and plans on the Vian/Tenkiller Area Facebook page; a website is also in the works. Prier said it’s great to see that generations of business owners are coming together for the good of the town. “It’s exciting to see the young business owners with new energy coming back to downtown,” Prier said, adding that many who have been to the three meetings thus far have included people who also work on the city council and other organizations that do so much in the community already. “Everyone’s been super supportive. It’s nice to have support from other people. As the name suggests, Prier said the group also hopes to pull in support from the Lake Tenkiller area and the entire county. A routine disturbance call last week turned into two drug busts for the Sallisaw Police Department. Officers responded to a domestic disturbance call at Don’s Mobile Homes just after 6:30 p.m. Aug. 17. 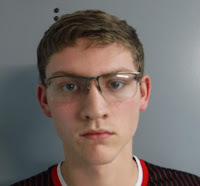 Upon arrival, a grandmother reported she had come to get a baby from her daughter because the daughter’s boyfriend, Tyler Lee Smith, 19, was allegedly intoxicated and had drugs in the home with the baby. After further investigation, another person at the residence stated Smith and his girlfriend had left the house in a black Dodge Nitro. The officer left the residence and spotted the Dodge Nitro at a nearby EZ Mart and located Smith as the driver. The officer advised Smith of the accusations, and Smith denied that there were any drugs in the house. After questioning the girlfriend, however, she advised there was marijuana in the house. Smith later admitted there were drugs in the house, and took officers back there, where they seized a large glass bong, a few pipes, working digital scales, several sealed baggies of a leafy green substance, that later field-tested positive for marijuana, and a baggie filled with white, crystalline substance, which later field-tested positive for methamphetamine. Smith admitted that he was selling the drugs for extra money. Later that evening, the officers, working off a tip, visited the home of Joyce Inez Swigert on Hickory Street. Swigert, 42, consented for a search of her home, where officers found multiple baggies of pre-packaged green leafy substance, which later field-tested positive for marijuana, along with several pieces of paraphernalia, including baggies, working digital scales, and a metal grinder. The narcotics investigation seized approximately 1.5 pounds of marijuana from the two locations. 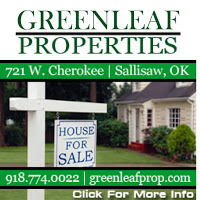 Both Swigert and Lee were arrested and booked at the Sallisaw Police Department. Swigert was arrested on charges of possession of marijuana with intent to distribute and drug paraphernalia charges. Smith was arrested on charges of possession of marijuana and narcotics and drug paraphernalia charges. 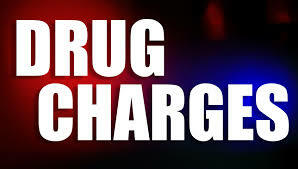 Police Chief Terry Franklin said the officers went above and beyond, resulting in the drug bust and additional charges. Cherokee Nation museums and gift shops are gearing up for the 66th annual Cherokee National Holiday Aug. 31 - Sept. 2. Cherokee Nation museums are taking part in the celebration by offering free admission at the Cherokee National Prison Museum, John Ross Museum, Cherokee National Supreme Court Museum and Sequoyah’s Cabin Museum in Sequoyah County. The Cherokee Heritage Center is also offering free admission to the Cherokee National Museum, with tours through the ancient village Diligwa offered at only $2. The theme for this year’s Holiday is “Family: A Bridge to the Future, a Link to the Past,” and the official shirt was designed by Cherokee National Treasure Dan Mink. Within the branches of the Cherokee family tree is the sacred fire, with three flame points representing the three Cherokee tribes. Four directions surround the fire, which is the ancient universal symbol of faith given to all mankind. Surrounding the fire are 14 rings of smoke that honor the counties of our traditional communities in northeast Oklahoma. The tree itself is encircled by 66 interlocking hands, symbolizing the link from our past to our future. The official 2018 holiday T-shirt costs $14 and is available at the Cherokee Nation Gift Shop in Tahlequah and online at CherokeeGiftShop.com. The Cherokee National Holiday is a commemoration of the signing of the Cherokee Nation Constitution in 1839. It is a celebration of Cherokee heritage and culture, a reflection of our accomplishments as a sovereign nation, and honors all that is in store for the future of the Cherokee Nation. The 66th Annual Cherokee National Holiday is scheduled for Aug. 31 - Sept. 2 in the Cherokee Nation capital of Tahlequah. For more information, including a schedule of events, entry forms and more, please visit www.Cherokee.org/AboutTheNation/NationalHoliday.aspx.